Rating: Despite being a relatively tiny label, Tramp Records has spent over ten years establishing a big reputation for painstakingly compiling and re-releasing rare vintage funk and soul and new collection Virtue Recording Studios is one of their dopest yet. With it, they continue an occasional series focussing on the catalogue of a particular label from back in the day. 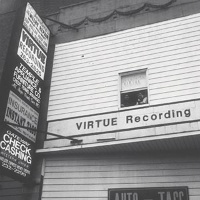 Previous volumes have showcased the output of Goldband/ Anla and GME/ Musette but this one tops both with a look at the impressive but lesser-known discography of a label named after its owner, a Philadelphia musician who scored a number three US billboard hit in the fifties and subsequently became a record label owner and producer in the sixties – Frank Virtue. Virtue’s Philadelphia studio, set up in 1962, can lay claim to having cut a lacquer master of The Beatles second 45 on Swan, Sie Liebt Dich, after being passed a copy of the German Odeon 45. The studio was also notable for offering a package deal to get two sides of a 45 recorded and pressed for between three and five hundred dollars which a certain fresh-faced group called The Stylistics took advantage of for their first 45 on Sebring. 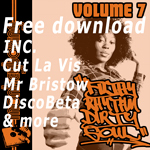 What this release celebrates however, is the cream of the funk-soul-rnb cuts put out on Virtue Recording Studio’s own label and its subsidiaries such as Fayette and Rising Soul which are now heavily sought after on original 45. From a wealth of material, eighteen cuts have been selected to create a solid gold listening experience though, if pressed, one might pick a few in order to extol their particular – er – virtues. Funky Philly soul-brag Big Ladies Man with its distinctive hook by the gravel-voiced Bob Marshall and the RDM Band’s wistful Temptations-ish How Can I Get In Touch With You stand out in the early part of the album. In the middle of the LP three tracks are notable: the country-tinged soul of Gene Faith’s When My Ship Comes In and Family Man (which alternates between New Orleans funk style verses and a Motown hook) along with The Fantastic Virtues’ monster instrumental version of Tequila. Finally it’s the funky, chunky disco of Ann Byers This Man Is Rated X that rules the closing section. Not that you’ll want to be skipping anything on this though. To get one such compilation in a year is rare, the fact that this comes out mere days after the Now Again label’s recent Function Underground creates a double whammy that it’s hard to imagine will be topped in quite some time.